The Museum of Modern Art announced on Tuesday that it will close its doors from June 15 to October 21 in order to rehang its collections and redefine the experience in its galleries both old and new at the tail end of the institution’s $400 million expansion. 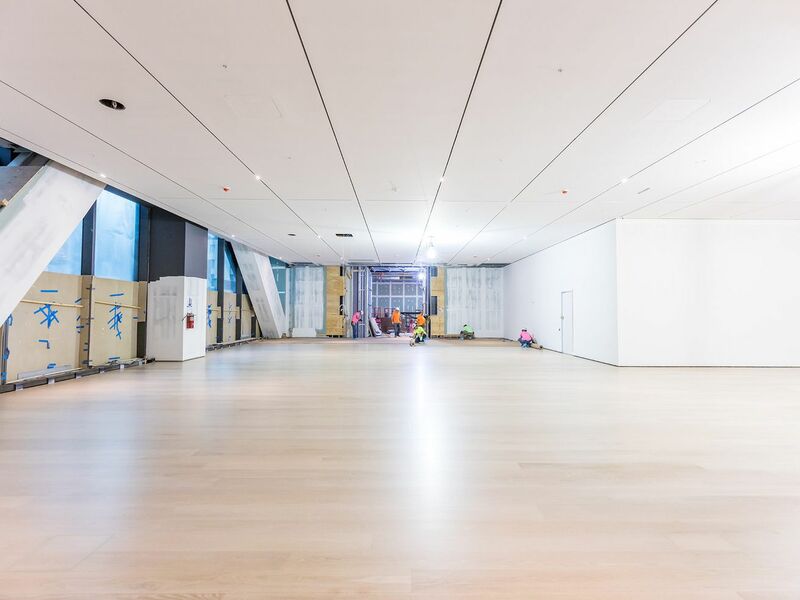 Designed by Diller Scofidio + Renfro with Gensler, the expansion brings MoMA 40,000 square feet of new gallery space. When that debuts, the institution will focus on highlighting not only the masterworks MoMA visitors have come to expect, like Van Gogh’s The Starry Night and Salvador Dali’s The Persistence of Memory, but also works by those who’ve been traditionally underrepresented, including women, black, and Latino artists. 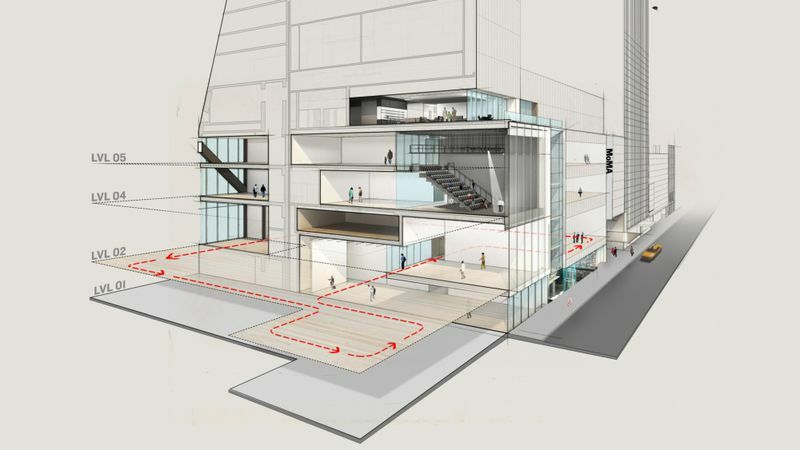 The expansion will increase MoMA’s gallery spaces by a third. When it reopens, the museum will break from its practice of displaying like disciplines together and will instead debut gallery space on the second, fourth, and fifth floors that mixes painting, sculpture, film, photography, works on paper, and other mediums with the added emphasis on incorporating artists representative of more diverse geographies and backgrounds. All galleries will still be organized more generally by chronology, and some galleries will remain medium-specific. In these latter galleries the museum will rotate a selection of art every six to nine months in an effort to “[recognize] that there is no single or complete history of modern and contemporary art,” the museum said in a press release. That means that by 2022, each of the galleries on MoMA’s second, fourth, and fifth floors will have been completely reshuffled. The expansion will also debut new concepts of space within the museum. The Marie-Josée and Henry Kravis Studio will provide a double-height space for live and experimental programming. And on the museum’s second floor, the Paula and James Crown Platform will provide a place for visitors to engage more deeply with the art through facilitated conversations and hands-on projects. Street-level galleries dedicated to architecture and design will be free and open to the public. When it reopens, the Museum of Modern Art will also share galleries with Harlem’s Studio Museum, which itself is undergoing a dramatic remaking of its space on 125th Street at the hands of British architect David Adjaye. The Studio Museum at MoMA, as it will be known, will open with an exhibition of the work of Kenyan-born artist Michael Armitage in the museum’s ground-floor Projects Gallery, which will also be free and open to the public. MoMA will open earlier daily, at 10 a.m., and close at 9 p.m. on every first Thursday of the month.